Oh, btw, it doesn’t pay to bet up either! I was betting a billion dollars on Mustang Money and I did get a bonus! I couldn’t believe it I was so excited! I should have known better as I sat there watching it yield three billion coins as a result! Was a shame! In this game, I hit more than 5 jackpots more than once, I only get paid for 5 jackpots. You need to fix this or I will not play this game again. I expect you to be honest. Don't like new updates --- will be looking for other games to play.. Refuse to pay to play!!! Impossible to win... totally ruined my desire to play anymore!! Appreciate knowing your thoughts, @marcia0543. Rest assured that they will be shared with the team for discussion. For other sentiments, send them to us through this form. Thanks. I’m disappointed & the joy of playing this game has completely been taken away with these “upgrades”. They gave me double the amount of credits I had, but upped the minimum bet in High Rollers World by 5X the first day & now it’s 10X the minimum it’s used to be! I’ll go through my credits in no time with this “upgrade”!!! I LOVED this game & now it doesn’t bring me any joy or excitement. Time to find a new game! why is the game not loading? We have two households, two accounts. Neither will load now. Is there not any way to earn free coins like you can with other games?? I'm tired of spending money on this game (yeah, I know i'm stupid for spending money on a fake slot machine game but what can I say, I have an addictive personality). I've been as high as 2 million chips and i'm currently waiting every 2 hours to get 6,000 more just to lose it in 5 minutes. Welcome to the magical world of Spinning! Whether you are a newbie to slots or an avid spinner, we hope you have an excellent experience. 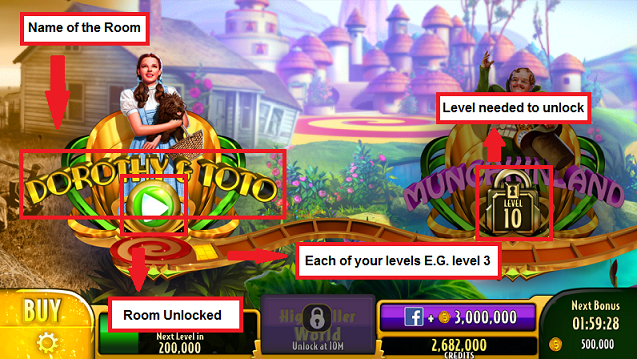 Here are a few FAQs to help you get started in Wizard of OZ Slots! No. 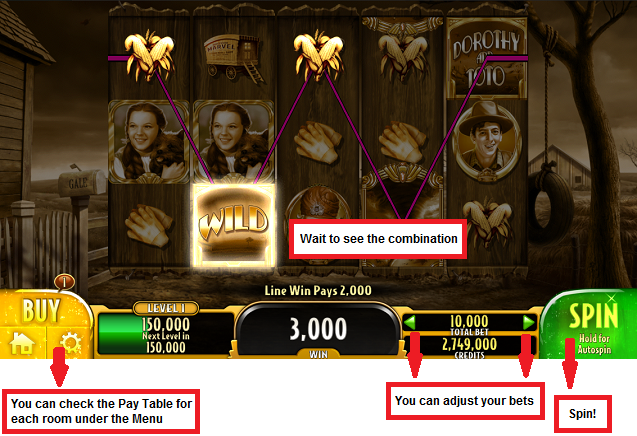 Wizard of Oz Slots strives for an authentic Casino experience, our games are strictly for entertainment purposes. All coins used in our Casino are intended for fun only and cannot be cashed out. 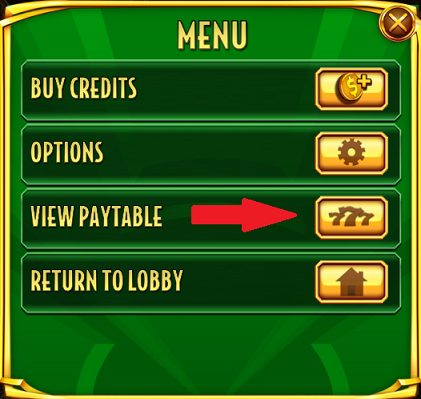 Purchasing coins allow players to advance further in the Casino to higher-level machines and to play longer. From the Bottom Lobby, what can I do? It's simple, choose a Room, place your Bet and Spin! You wins will be determinate in function of the Room you are and your Bet. You can check the Pay Table for each room. Can I win Free Spins? Players can win Free Spins. Free Spins behave differently in each room. You can find all in the Pay Table for each room. I have run out of Coins. Do I get more free ones? Yes, you do! We'll offer you more free Coins every 4 hours! 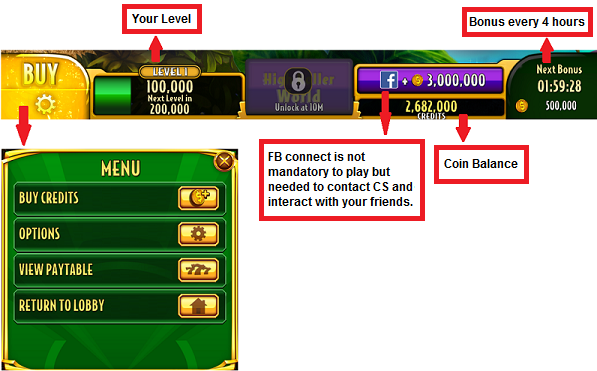 You will start with 500 coins which will increase when you are leveling up. At the bottom left of your screen, tap "buy" button to reveal the purchase tab. You will find diverse package that you can purchase via your Apple Store account. Our offer can change at any time and are not subject to availability. You friends can send you coins once per day. 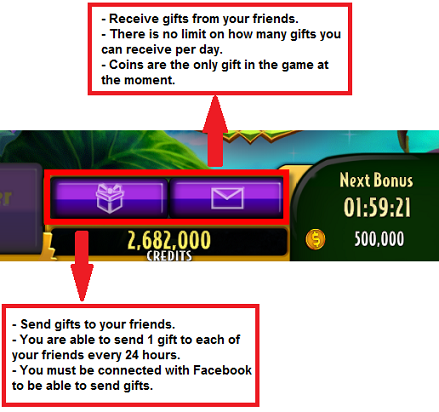 You do not have any limit on how many gifts you can receive per day. 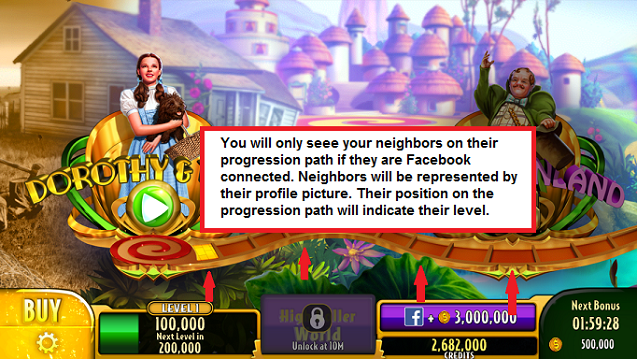 We hope you find this information helpful and are able to get back to playing Zynga Mobile games! 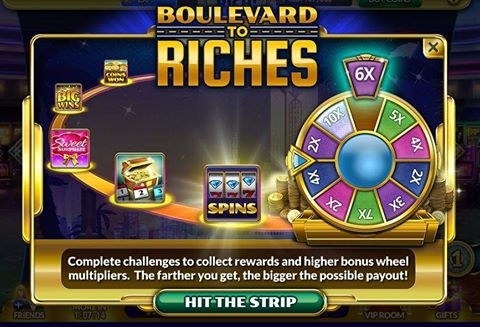 Don't forget to spin on Boulevard to Riches which ends tomorrow night!